Pavan Shetty, Director, Porsche India, has confirmed that the brand will be launching a pure electric car in the beginning of 2020 for the country. This model will launch after getting its global launch in the third quarter of 2019. 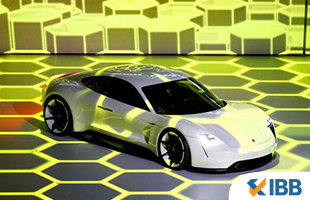 The EV prototype has already been showcased at the Frankfurt Motor Show in 2015 according to Shetty and he added that this comes under Porsche’s Mission E strategy. Porsche started its operations in the country in 2012 and currently sells models which are fully imported. There is no local manufacturing or assembling unit owned by the brand at present. It only has 8 service centres and 6 dealership outlets. The Indian market is important for Porsche, as can be seen from this confirmation of a pure electric vehicle for 2020. The company has also increased sales volumes to 434 units in 2017 from 401 units sold in 2016. Shetty has also stated that while there are external factors like fluctuations in exchange rates which cannot be predicted, Porsche remains confident of posting decent growth in India for the current year. Shetty put Porsche’s market share at 1.2-1.5% in the luxury car segment which also includes ultra-luxury car brands. He also confirmed that GST rates have remained unchanged for a few models while it had gone up for others. Shetty also confirmed the launch of the Cayenne E3 SUV in the third quarter of 2018. The company offers the Boxster, Macan, Cayman, Panamera, 718 Series, Cayenne and flagship 911 models in the Indian market.